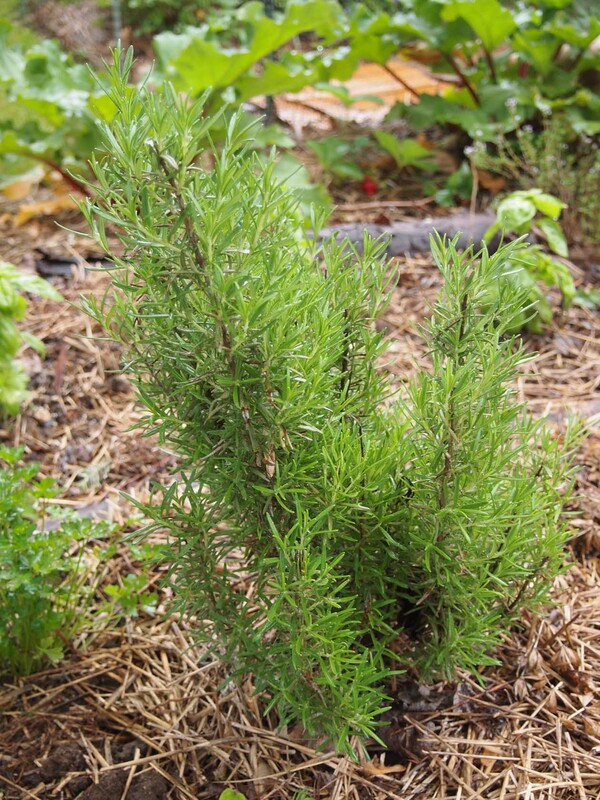 What is it about rosemary that is so compelling? Its deep, woodsy, piney fragrance? The blue flowers that open in June/July and in December just before Christmas? Its 8-10’ by 8-10’ shrubby habit in zone 7 and warmer climes? All of the above? Before the mid-80’s I only knew it as the slightly piney, grassy herb that was in a jar. I remember when I first discovered the plant and realized that dried rosemary was a poor substitute for the real thing. Rosemary vinegar, oil, pesto and butter are a few of the ways that rosemary is added to the food I make. In the garden, I have tested different areas in an effort to discover the perfect microclimate where rosemary might survive our supposed zone 6 winters. Most cultivars can survive 10°F temperatures and a few can survive colder winters: ‘Arp’ and ‘Madeline Hill’ are two selections that can take 0°F and live. For the past two winters much of Central Ohio has experienced zone 7 winters. Both ‘Arp’ and ‘Barbecue’ came through with flying colors. The survivors are in full sun, well-drained areas that are out of direct winter winds. Over the Memorial Day weekend I was able to spend a lot of time in the garden. I weeded, watered, fertilized – with compost tea – and planted. While planting rosemary I thought about its well-known meaning in light of the weekend and the true Memorial Day of May 31st. I remembered. And silently thanked all who have guided me in my garden and my life.